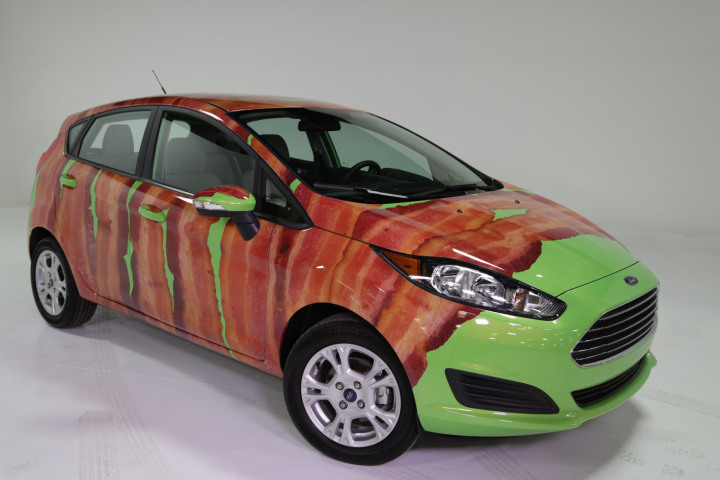 BRIGHTON, Mich. - To celebrate International Bacon Day, Ford is giving new meaning to breakfast-on-the-go with a 2014 Ford Fiesta wrapped in bacon. Although it's only a vinyl graphic designed to resemble large pieces of bacon, Ford is proud to give customers a way to show their love for the breakfast meat in a really obvious way. For those interested in the bacon-wrapped Fiesta, there are four vinyl graphic options to choose from. If you're a true bacon fan, you can go for the full wrap (pictured above) or if you're a little shy about your love for the breakfast meat, you can get a small bacon graphic wrapped around the rear wheel wells. Prices start at $78 dollars and increase with the more bacon slapped on your car. Ford has given new meaning to breakfast-on-the-go, and it's perfect for those breakfast lovers that need a way to express their love for bacon. 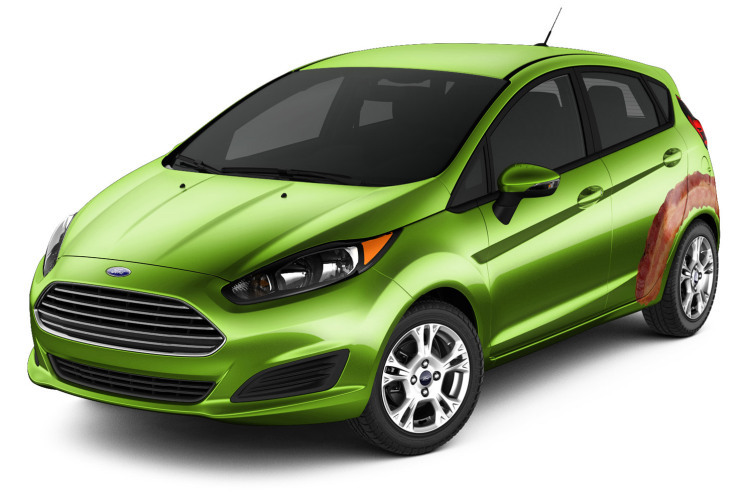 If you're interested in getting your vehicle wrapped, or buying your 2014 Ford Fiesta and leaving the bacon for breakfast, stop by our Milford Area Ford Dealer today! We have a great selection of New Ford Cars and New Ford Trucks (with or without bacon) that you're sure to love.